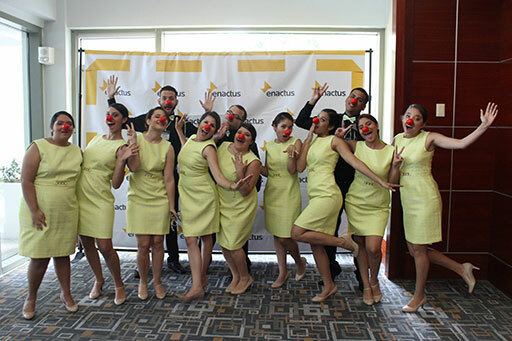 If you scroll through the pictures from this year’s Enactus Puerto Rico National Competition, you might be a bit surprised to see teams of students and even executives and staff wearing red noses. 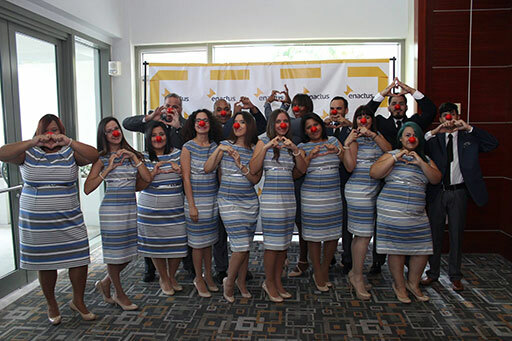 In support of one of their main sponsors, they took part in Walgreens Company’s Red Nose campaign, which raises money annually to help children living in poverty across the country and around the world. Check out a few of the great pictures below! 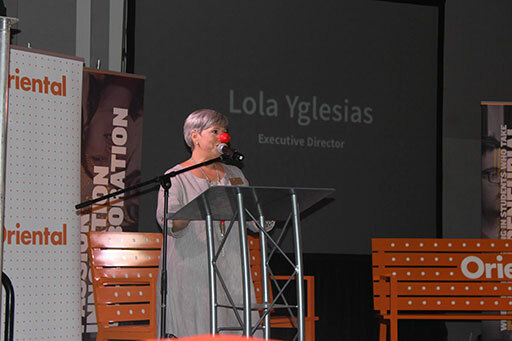 The event, which took place at La Concha Hotel in San Juan on 22-23 May, brought together 620 supporters for two days of collaboration and celebration. 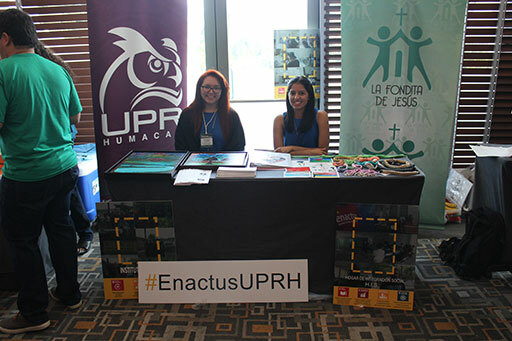 One unique opportunity for teams to showcase their work was the Enactus Teams Market: attendees were invited to visit with teams, learn about their projects, and even buy the products from the projects. Another collaboration opportunity was the Innovation and Women Empowerment Forum, sponsored by Oriental Bank, which brought together students and business leaders to discuss challenges they have faced, how they’ve overcome them, and being innovative in a global economy. 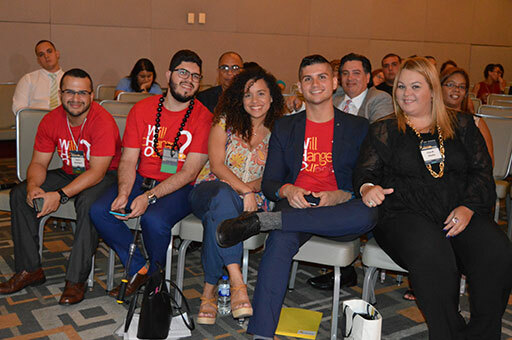 With the impact made by Enactus teams in Puerto Rico this year, there was plenty of cause for celebration – in addition to the overall competition, numerous other awards were presented including Student of the Year sponsored by Walgreens Company; Faculty Advisor of the Year, sponsored by Puerto Rico Supplies Group; and Enacter 1.0, a special scholarship funded by four alumni and awarded to active students in their first year of involvement. 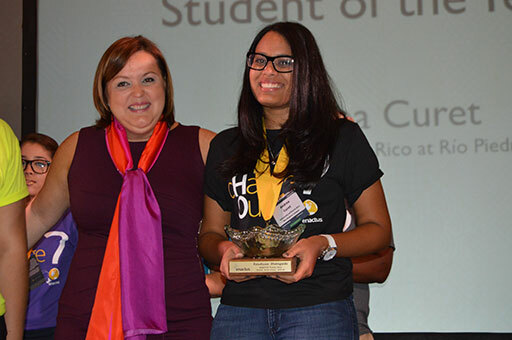 Winners of three topic competitions were also announced: Humacao Community College won for Environmental; Columbia Central University took the prize for Social; and University of Puerto Rico, Rio Piedras won for Economic. The national competition kicked off the Friday before the event started when teams came together with staff for a live opening round league pairing. 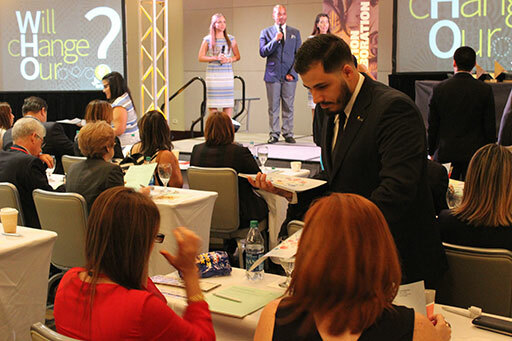 At the event, 12 teams had to battle their way through three rounds of competition, in hopes of winning the national title. Nearly 120 executives had the difficult job of narrowing the field down to the final four teams. 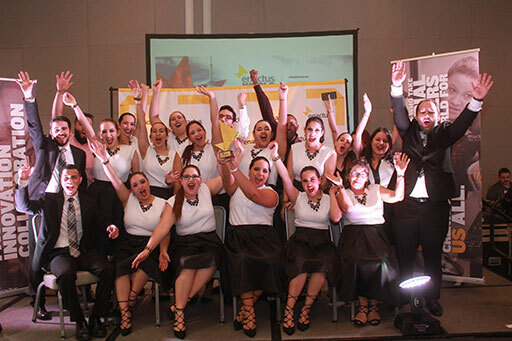 In the end, the 41 final round judges selected the University of Puerto Rico, Bayamon as the 2016 national champion, winning the title for the second year in a row. 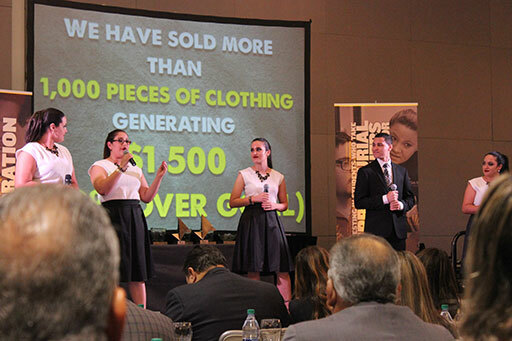 Judges were impressed with their portfolio of projects including Bottles of Hope, which uses plastic bottles instead of bricks to build houses in impoverished neighborhoods in the Dominican Republic. 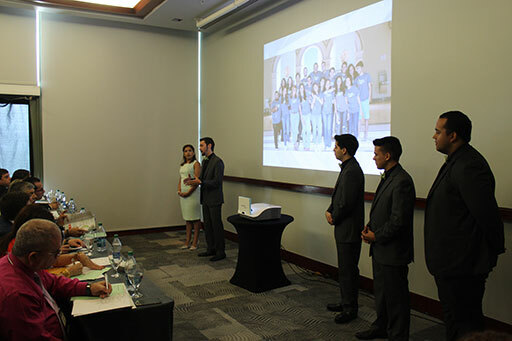 The team will now prepare to represent their country at the Enactus World Cup taking place in Toronto this September. 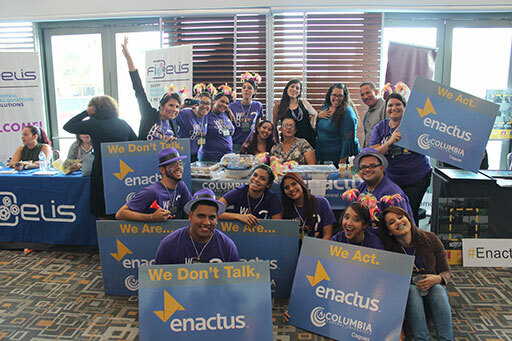 If you missed any of the exciting event, head over to Enactus Puerto Rico’s Facebook page, where you’ll find all sort of video highlights from the event. 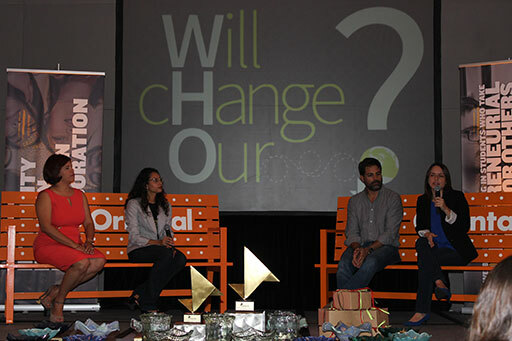 And don’t miss this great flashback video from the event!